Now return to our for our last lesson in book repair. I hope you’ve had fun learning these last three days…no? Oh well =P to you! 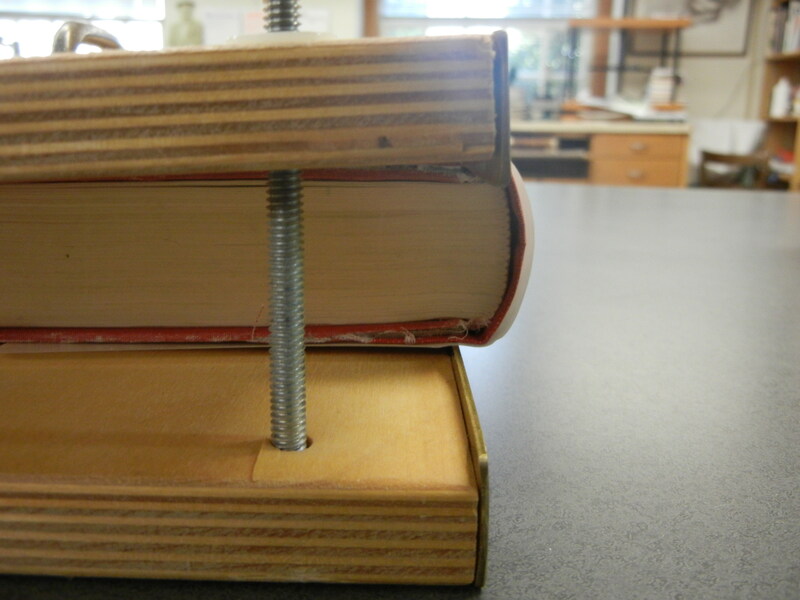 At any point today we’re going to attach the “new and improve” spine back to our desecrated book. First let’s grab a book. 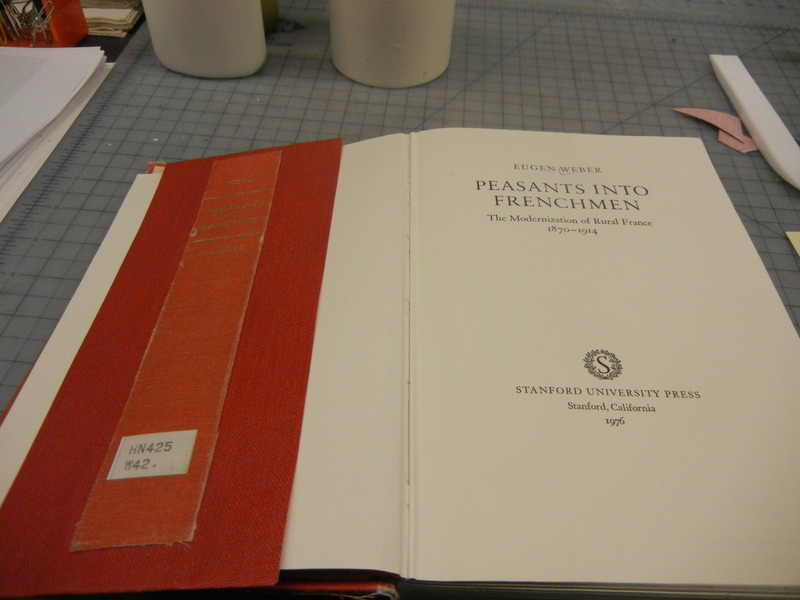 This book was fixed two days ago…it’s the first book I fixed. Which means it’s not perfect! Before you attach it make sure you’ve orienting it the right way. Now insert the edges under the lifted covers. 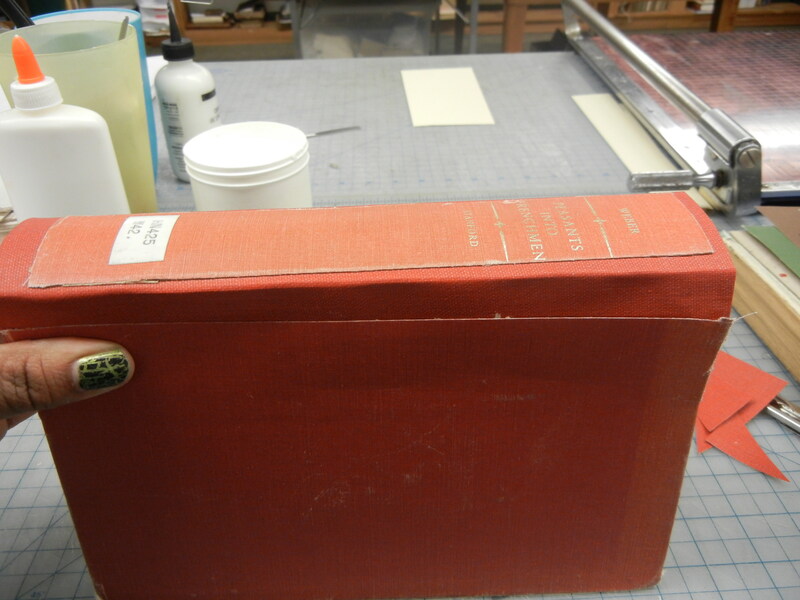 You might want to bend the bristol so it wraps around the book better. Match up the edges as best you can. Now gently place the book on it’s back without moving anything. Lift the cover of one side so you can start attaching it. Glue it out with PVA in a thin even layer on the bottom side. Just on the cardboard part of the cover. Press the spine to the board and burnish it with the bone folder. 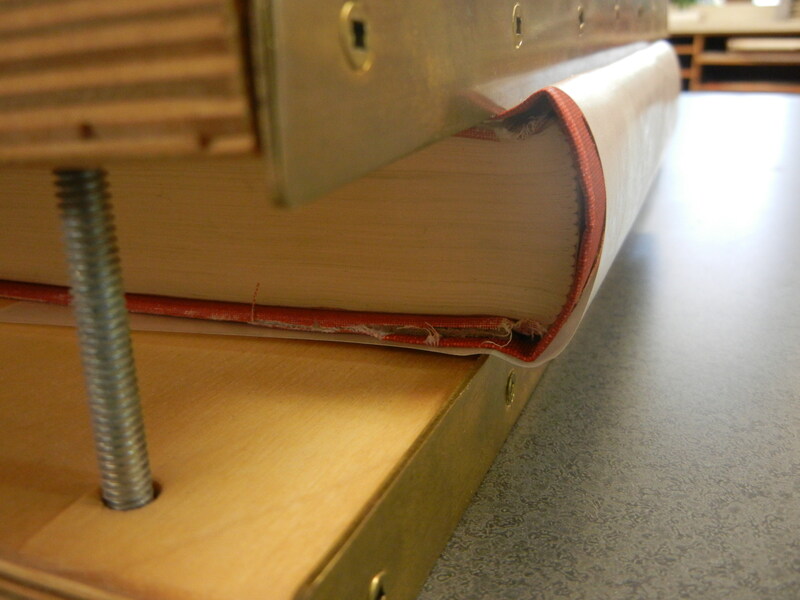 Use the edge to get the crease of the book as well, so it bends and opens easily. Repeat the step on the top with the original cover and burnish it. You can do this with the bone folder or a waded up piece of paper towel to get the glue that might squeeze out. Repeat on the other side. Almost done. 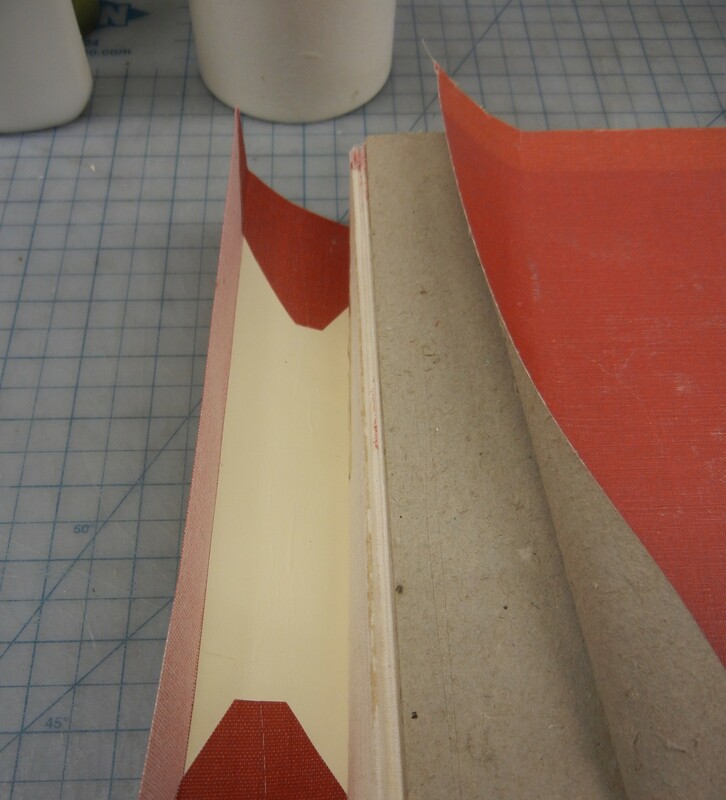 Now use some glue to close up the cuts on the top and bottom of the book. We don’t want that to get frayed. 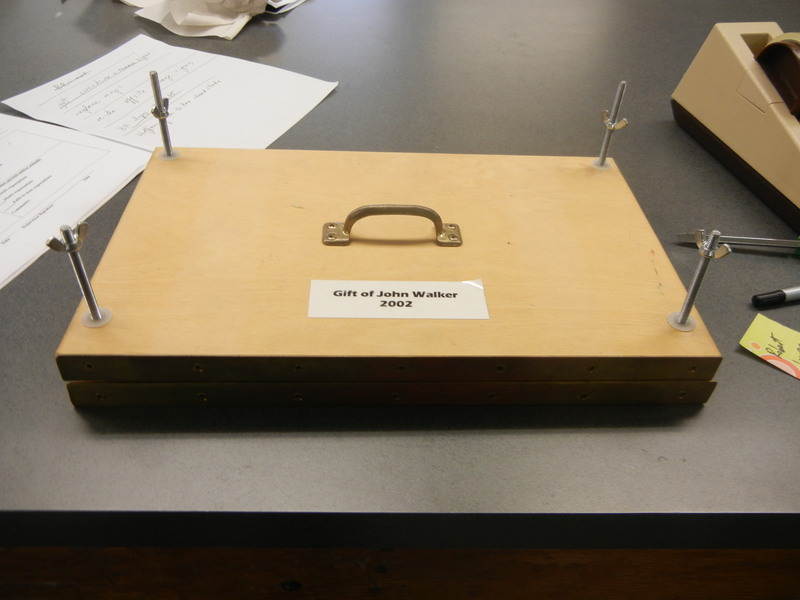 Guess what you’re done…almost…Grab a book press like this one. 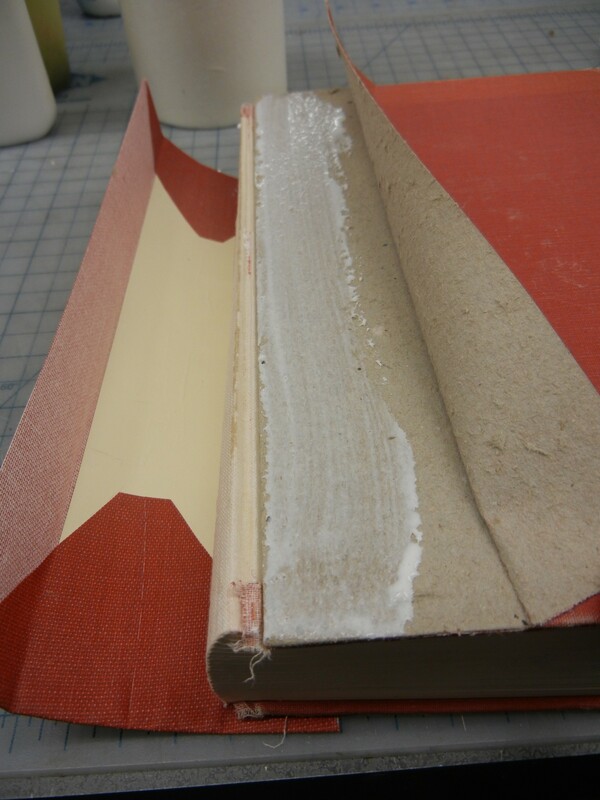 Wrapping the book in wax paper for the glue that will seep out, push it in backwards to the end of the mental brackets. So that it looks like this. Those metal brackets should fit in the crease of the book. Why? To reinforce that crease…like this? Tighten the screws just enough to apply pressure, not as tight as it’ll go. 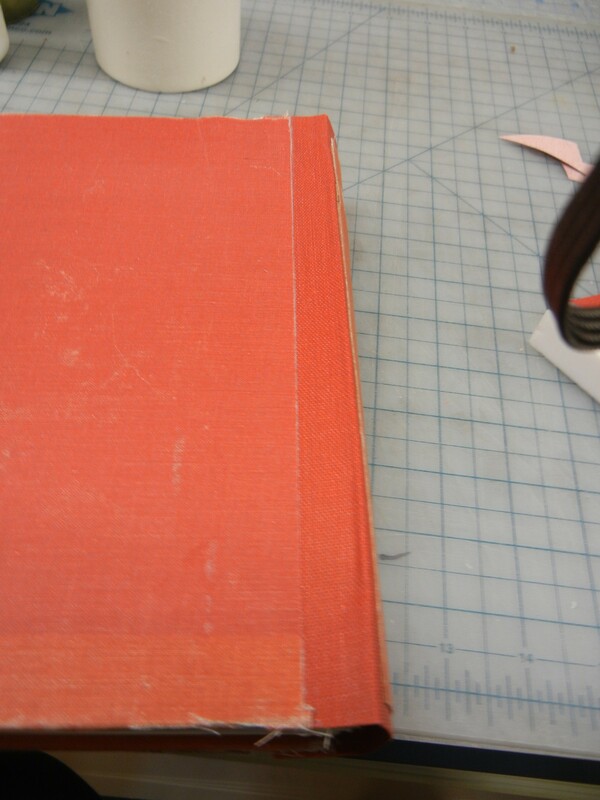 Now set it aside for 24-48 hours and you’ve fixed your first cloth bound book. Celebrate by doing it again and again…remember the first shot of all those book waiting. 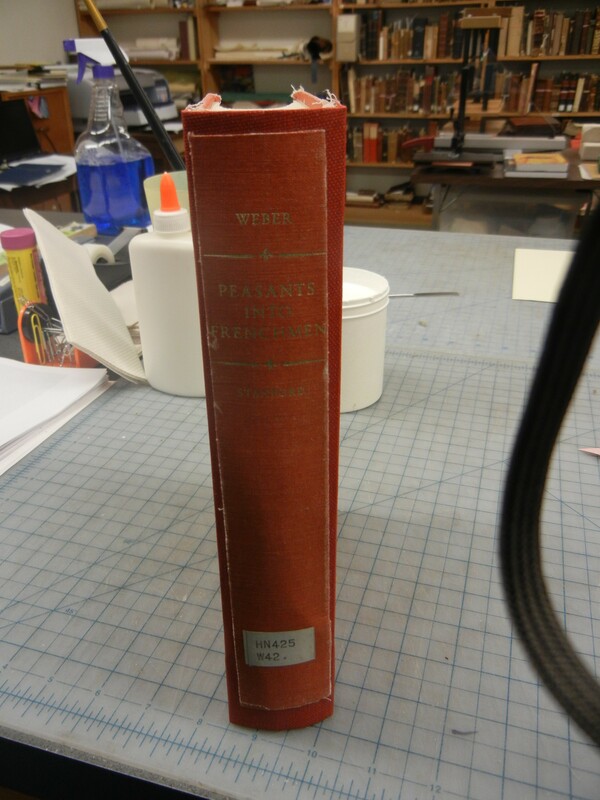 A preservationists librarian work is never done.